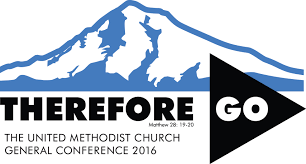 As the Rio Texas Conference Delegation prepares to attend the 2016 General Conference of the United Methodist Church in Portland, Oregon – May 10 thru 20, the Delegation is hosting three Listening Sessions. You are invited to participate while gaining information from our constituents of the Rio Texas Conference regarding proposals of General Conference. These sessions will be on Tuesday evenings from 7:00 to 8:30 pm. A brief summary will be provided regarding what information / proposals fall within the listening session topic.